My name is Steve Shreffler and I own LIGHTNING SPEED SHOP, which I operated full-time from 1979 to 1993. 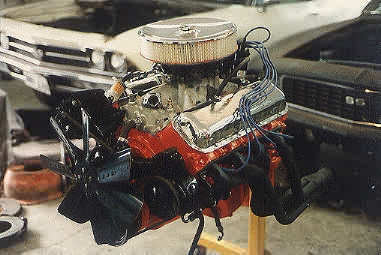 As a racing engine builder and restoration engine specialist, I have always focused on hard to find Corvette and High-Performance Chevrolet Engine Parts for use in both restoration and competition. 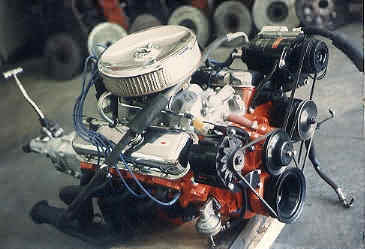 I bought, sold, and traded a constantly changing inventory of correct dated engine blocks, cylinder heads, intake manifolds, carburetors and more for the years 1962 to 1972 exclusively. 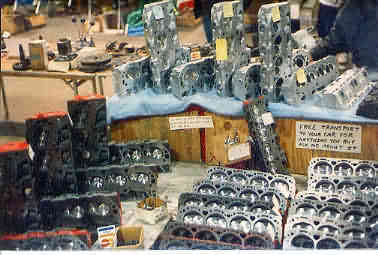 During the 1980s and early 1990s we were very active in the regional car show and swap meet circuit, so much so, that one year the promoters of both Super Chevy Magazine and the Bloomington Gold Corvette Show (the world's largest Corvette Show) used photos of our awesome display in their materials to promote and publicize their car show events. Along with Super Chevy Sunday and Bloomington Gold, we were also regular vendors at the both spring and fall Chevy/Vettefest Nationals (world's largest all-indoor Chevrolet and Corvette event) and the Motorama car shows held at McCormick place in Chicago, the Hoosier car show held inside the Indianapolis Motor Speedway at Indianapolis, and the Peotone Illinois swap meet each year. Chances are if you attended any major car show in Illinois or Indiana during our years of operation, you and I have already met. 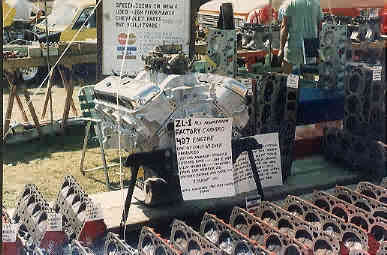 When the stock market crashed in 1987, investors moved to invest in Corvettes and Muscle cars and as a result, we experienced an appreciable increase in demand for our inventory of factory installed original equipment engine parts as the cars dramatically increased in value and demand, seemingly overnight (just as they have again since March 2000). 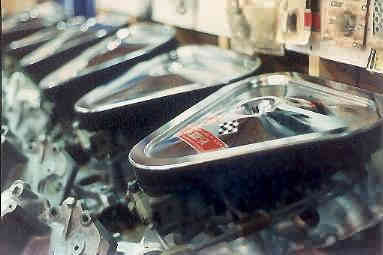 Accordingly, we shifted our emphasis from racing to restoration as the original high-performance engine parts seem to increase in value even faster than the cars. 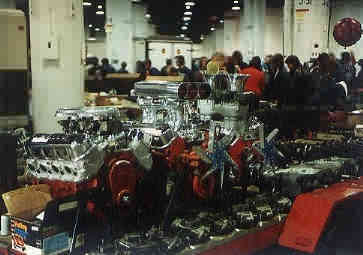 We advertised heavily in Hemmings Motor News Magazine, Chevy/Corvette Buyers Guide Magazine, Vette Vues Magazine, and 76 other publications where we did business with customers worldwide, supplying the Corvette and Muscle car world with engines, parts and consultation. I am proud to have been able to lend support to the world-class frame-off restoration shops, NCRS and Bloomington Gold Judges, and restoration book authors as well as sharing my knowledge base with the public over the years and I do miss it. 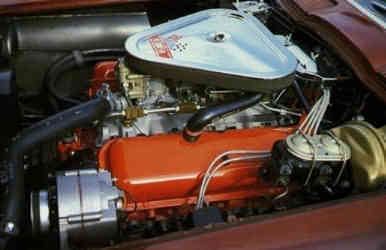 By far the rarest engine I have bought and sold was THE original engine out of one of the 71 COPO cars that Chevrolet produced with the famous ZL-1 engine option (all aluminum L-88 427). 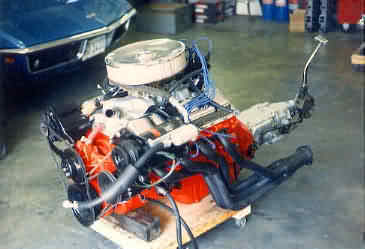 My ZL-1 was the engine that Chevrolet originally installed in the 1969 ZL-1 Camaro number 26 which still existed three states and over 600 miles from where I found it’s engine. Since 1993, the following High Performance Chevrolet Engine Parts have been in storage when I suspended operations to pursue other ventures and expand our family. My original plan was to no longer sell items of this rare nature outright for cash, as I would reserve them solely for trading for similar parts I might need for my own personal collection, however the NASDAQ has changed many things in my life since March 10, 2000. I would also be very interested in selling the entire lot in one package deal at a negotiated wholesale price. These engine components are for the most part; all cleaned, inspected, labeled with description information for sales display, and will be package priced well below market value. on a “first one with the money” basis. Do it right, and they will tell two friends, but do it wrong and they will tell everybody! This list is in two sections. In the first section you will find High Performance Chevrolet Engine Parts used on Corvette and other Chevrolet Muscle Cars. 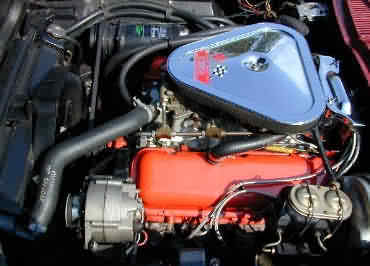 Below that, you will find High Performance Chevrolet Engine Parts used only on the "steel body cars" (Camaro, Nova, Chevy II, Chevelle, Malibu, El Camino, Monte Carlo, Impala, Biscayne, Bel Air, Caprice, Pickup, & etc.) but not Corvette. For further clarification and uniformity, I have listed a second digit for the year portion of casting date codes. 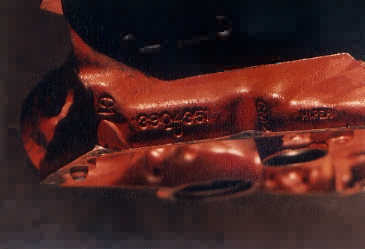 For instance, a date code is listed below as “A-12-67” would have the actual casting date code “A 12 7”. 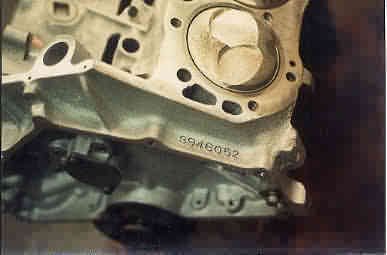 Many parts cast after 1969 actually do have 2-digit year designations as did parts cast in Tonawanda. Parts I have available for cars produced under a Central Office Production Order or C.O.P.O. are designated below simply as COPO. 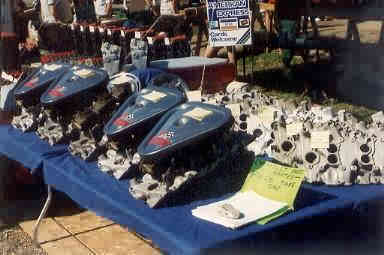 Carter AFB Factory Original Carburetors. 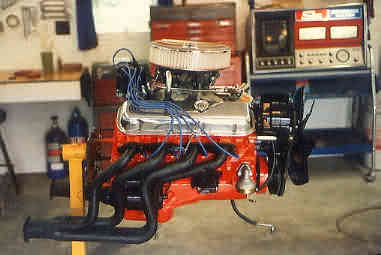 1966 300 & 350 Horsepower Carburetor. 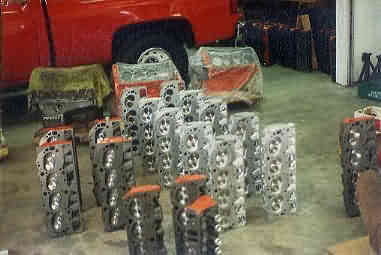 327 Corvette (250 to 300 Horsepower) Full Set $395. 327 (250 to 300 Horsepower) $395. 396, 427, or 454 Rod Set $495.  If any of the following pictures fail to load, simply right click the red “X” and select “Show Picture”. If any stop while loading, please refresh the page and they will load the rest of the way. Copyright © 1979-2017 LightningSpeedShop.com. All rights reserved.